Joe Harvey is a former elementary school teacher. 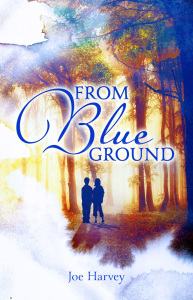 His first book, From Blue Ground, a fast-paced historical novel for middle-grade students, was recently released by publisher Sunbury Press. His short story, Twilight of the Gods, is scheduled to be released this winter in a climate fiction anthology, also from Sunbury Press. Joe began his career teaching music and has done historical research on the nineteenth-century Philadelphian composer, William Henry Fry. Joe is active as a teacher, writer, speaker, and musician. He holds a Bachelor of Science in Education from Millersville University and a Master of Arts from West Chester University. He is married to his high school sweetheart, Kara. They have two children. For fun, Joe loves to read, write, play the guitar, watch the IronPigs and root for the Phillies.